Peter B. Terry, MD, is Professor of Medicine at the Johns Hopkins University. He is originally from the Midwest, having grown up in Illinois and attended college in Chicago. He received his medical degree from the St. Louis University School of Medicine. His internship and residency in internal medicine were completed at The University of Connecticut and at The Johns Hopkins Hospital. His fellowship in pulmonary and critical care medicine was completed at Johns Hopkins and the Mayo Clinic. In 1993, he completed a master’s degree in philosophy, with a concentration in bioethics, at the Kennedy Institute of Ethics, Georgetown University. 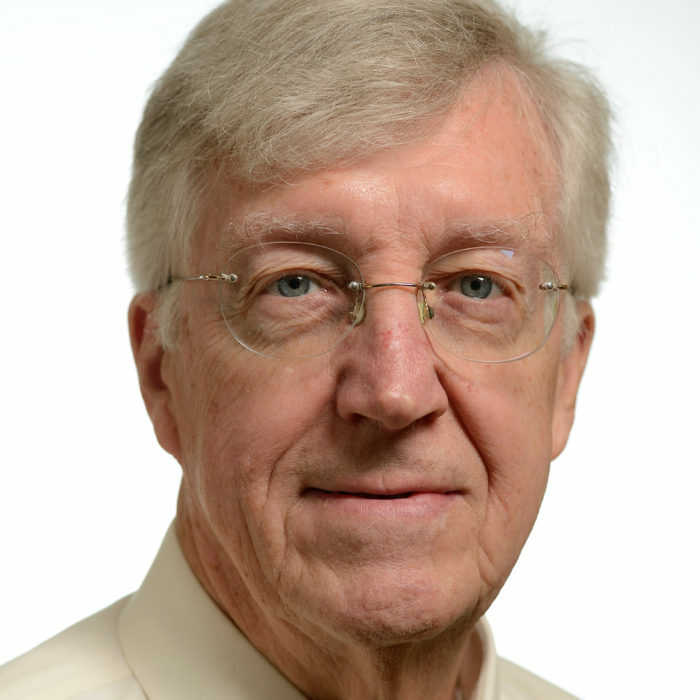 Dr. Terry has been a faculty member of The Johns Hopkins Medical Institutions since 1975. He is past chairman of the Johns Hopkins Hospital Ethics Committee. He teaches ethics to the Department of Medicine house staff. Dr. Terry holds joint appointments in the Johns Hopkins Bloomberg School of Public Health and in the Department of Anesthesiology and Critical Care Medicine. 1: Daugherty, B.E., Gwon, H., Schoch-Spana, M., Cavalier, R., White, D.B., Dawson, T., Terry, P.B., London, A.J., Regenberg, A., Faden, R., Toner, E.S. The community speaks: understanding ethical values in allocation of scarce lifesaving resources during disasters. Annals of the American Thoracic Society, 11(5), 777. 2: Sharma, R. K., Hughes, M. T., Nolan, M. T., Tudor, C., Kub, J., Terry, P. B., & Sulmasy, D. P. (2011). Family understanding of seriously-ill patient preferences for family involvement in healthcare decision making. Journal of general internal medicine, 26(8), 881-886. 3: Nolan, M. T., Hughes, M. T., Kub, J., Terry, P. B., Astrow, A., Thompson, R. E., … & Sulmasy, D. P. (2009). Development and validation of the Family Decision-Making Self-Efficacy Scale. Palliat Support Care. Palliative and Supportive Care, 7(03), 315-321. 4: Nolan, M. T., Kub, J., Hughes, M. T., Terry, P. B., Astrow, A. B., Carbo, C. A., … & Sulmasy, D. P. (2008). Family health care decision making and self-efficacy with patients with ALS at the end of life. Palliative and Supportive Care, 6(03), 273-280. 5: Sulmasy, D. P., Hughes, M. T., Thompson, R. E., Astrow, A. B., Terry, P. B., Kub, J., & Nolan, M. T. (2007). How would terminally ill patients have others make decisions for them in the event of decisional incapacity? A longitudinal study. Journal of the American Geriatrics Society, 55(12), 1981-1988. 6: Terry, P. B. (2007). Informed consent in clinical medicine. CHEST Journal,131(2), 563-568. 7: Aberegg, S. K., Arkes, H., & Terry, P. B. (2006). Failure to adopt beneficial therapies caused by bias in medical evidence evaluation.